Divorce—it’s probably the one thing that all married couples hope to never go through, but when a marriage comes to an end, in hindsight, there are always things we wish we would have done, done better, or not done at all. Many of us separate and, depending on the economy and job opportunities available, find ourselves, as Solo Moms, making tough decisions about things we never expected, such as where to live. At the time of my divorce, I was living in South Georgia, hundreds of miles away from my home state of Pennsylvania—and I had to make the difficult decision of whether to move home or stay within driving distance of my ex-husband so that our children could visit him regularly. 1. Employment opportunities. Because it was up to me, as a Solo Mom, to provide for my children, having a job was the most important factor. Although I received child support from my ex-husband, it couldn’t (and shouldn’t have to) cover all our living expenses. In my home state, there were either no jobs available in my field or the jobs that were available were undesirable because of the hours or pay rate. I finally was offered a job in Pensacola, Florida, and decided to move there because the jobs in my field were plentiful and paid enough that I could make it work for our family. There were times I struggled financially, but overall I was able to provide for my family with only a little help from my family and friends. 2. Visitation. Ensuring my children see their father on a regular basis is highly important to me as a Solo Mom, and my getting a weekend reprieve twice a month after juggling work and kids is also important for my sanity and self-care. My ex-husband and I agreed informally that we will try to live near each other whenever possible. Crystal, a former military spouse in Texas, made a similar agreement with her ex-husband and agreed to colocate their family whenever he got new orders. 3. A network of family and friends. If you’re living away from your home state as I have been for almost a decade, the most important thing you will need is a network of people whom you can call on in times of need. I’m blessed to have people I trust who can take my kids to meet their dad for visitation if I’m unable to at the last minute, or even just someone to talk to and help me think outside the box when my ex and I are having trouble reaching an agreement regarding our coparenting arrangement. When my ex and I divorced, I didn’t expect to include his parents in that network of people, but since our divorce, they have shown that I can truly count on them in times of need. 4. Education and extracurricular activities. Access to quality education and extracurricular activities is important, especially as some schools are phasing out many programs. Andrea, a Solo Mom in Indiana, decided not to move so that her children could continue seeing their dad and continue their extracurricular activities at school. She felt her children’s well-being and ability to have a relationship with their dad was more important than her desire to move away. She plans to move after her youngest completes high school. When coparenting may not be best for the children. While working for an attorney who practices family law in Florida, I saw many cases involving abusive parents, and in those situations, distance may be the best thing that a Solo Mom can put between her family and the abuser. Where you decide to live. As a Solo Mom, one of the most important decisions affecting the course of your child’s life and relationship with his or her other parent will be where you decide to live. Because having a job will likely be one of your first priorities, it is especially important that you begin networking in your new or intended community quickly. Also, there are plenty of job boards out there, but I’ve had a lot of success with Facebook’s job-listing service. Initially upon your separation, you may be upset at your ex-spouse and may think about keeping him or her away from the children, but if abuse is not part of your story, preventing your children from seeing your ex may not be in their best interest. 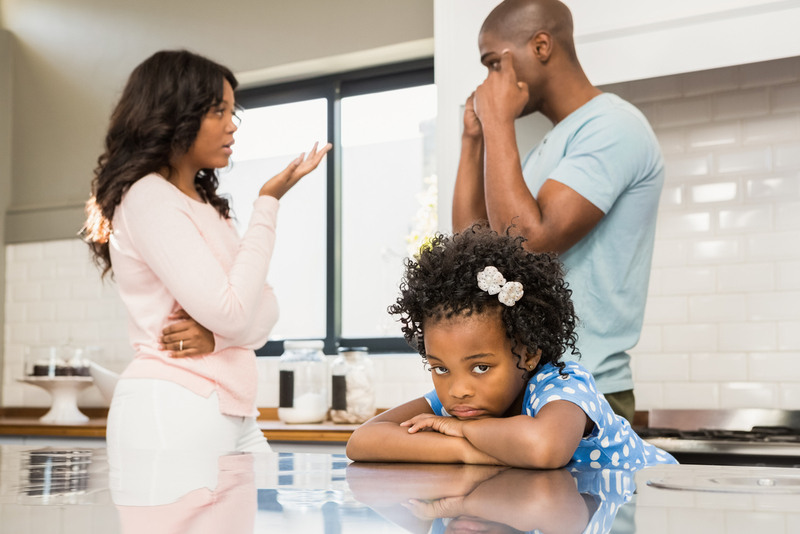 Consider the long-term effects of any decision on your children and their relationship with your ex to help you determine what’s best for your family.